Microsoft Teams is a chat-based workspace in Office 365. 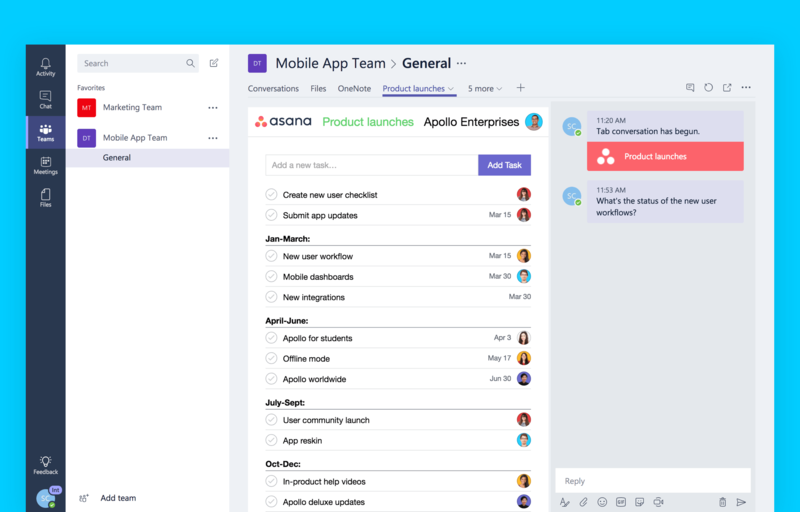 Teams users can add Asana projects to group chats and start turning conversations into actionable work—all in one place. With this integration, you can chat with teammates about a project while looking at the full list of tasks including who they’re assigned to, when they’re due, and complete tasks when they’re done. Want community support? 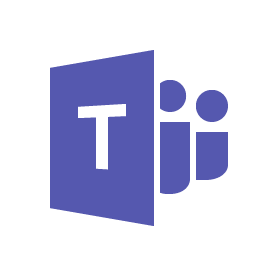 Join the Microsoft Teams Tech Community.